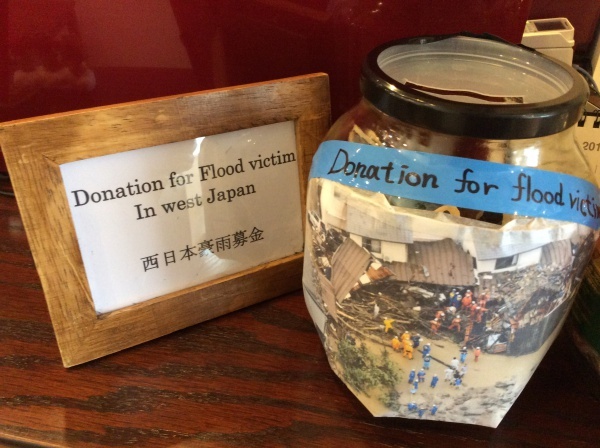 OneWORLD thought that we can do something in the Disaster areas of Western Japan flooded damage, and we made the donation box. The fact that the early reconstruction of the disaster area and the minimal damage were occurred. We pray for the flood victims in Western Japan.